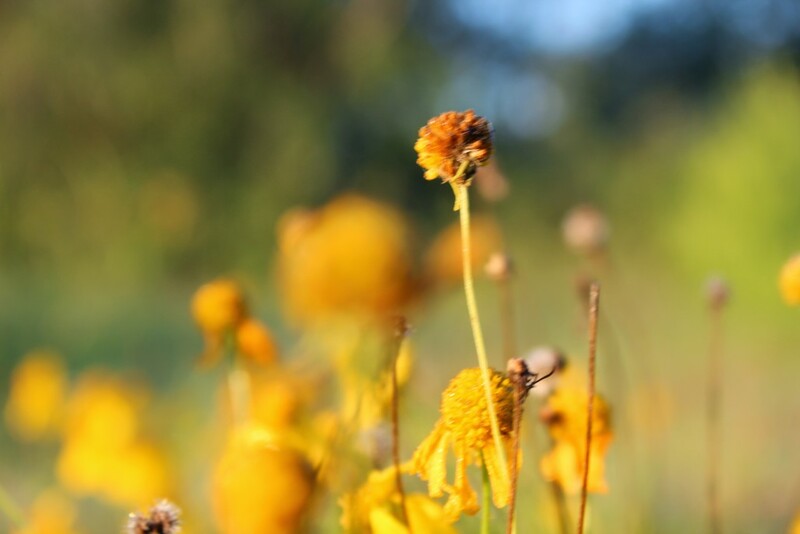 The Katy Prairie once encompassed over a thousand square miles of Texan coastal plain west of Houston but the ecosystem has suffered severe degradation and now faces obliteration by the city’s relentless march. 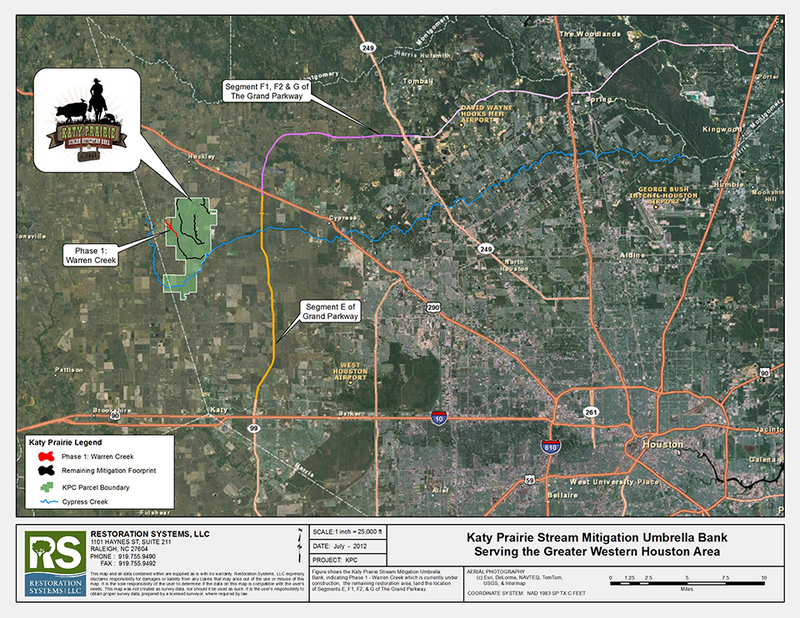 The rapid growth has led to the Katy Prairie Stream Mitigation Bank (KPSMB) which was designed to service the compensatory mitigation needs of Harris County’s growing population of 6 million. 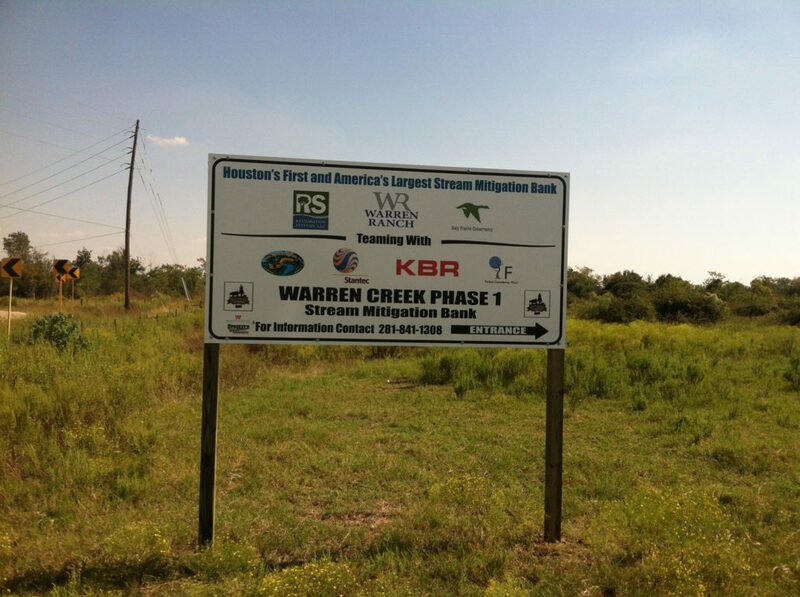 Scaled to fit demand, KPSMB is the largest permitted stream mitigation bank in the United States. Contact Barrett Jenkins at 919.334.9118 to inquire about Available Credits. 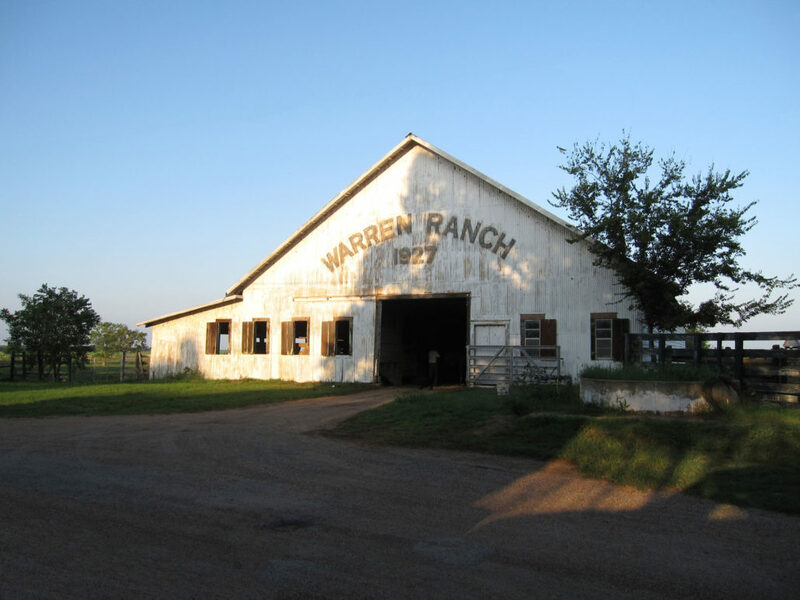 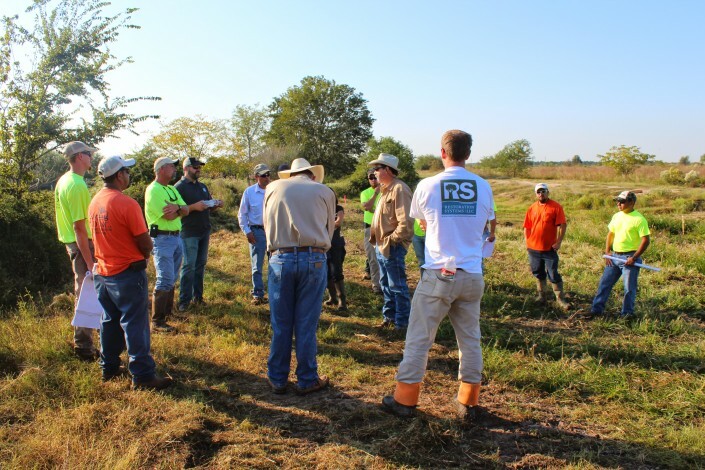 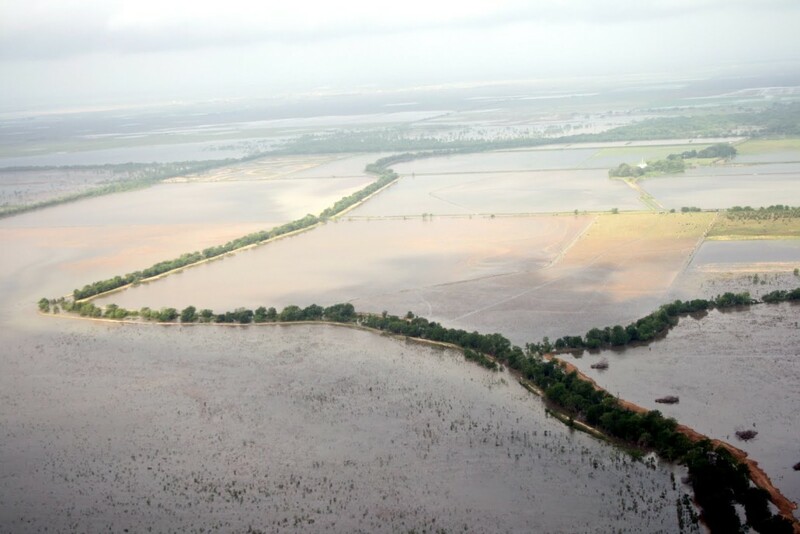 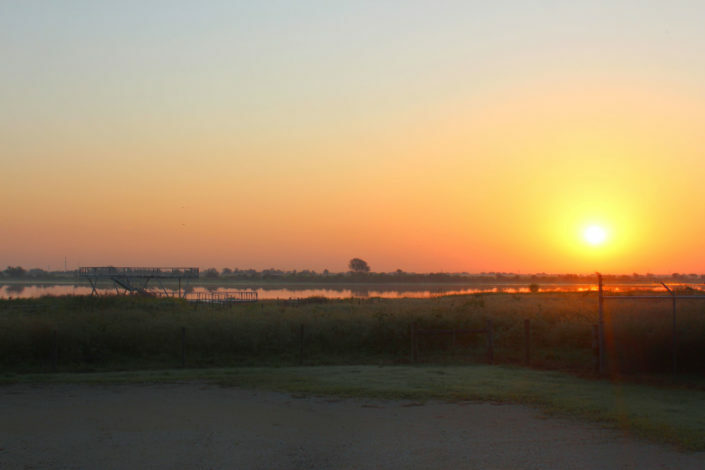 Successful sponsorship of the nation’s largest permitted stream mitigation bank is a direct result of a strong partnership between RS, the Warren family, and the non-profit Katy Prairie Conservancy (KPC) – one of Texas’ oldest and most respected Land Trusts. This long-term Joint Venture has made the Warren Ranch the ideal setting for a successful stream mitigation bank with exciting possibilities for the future. The KPC is planning to dedicate their share of project proceeds to retire the debt on the Warren Ranch and restore native prairie grassland with permanent protection. By dedicating mitigation royalties from credit sales to conservation easements and acquiring additional threatened properties in the watershed, the stream mitigation will lead to the restoration and protection of uplands. 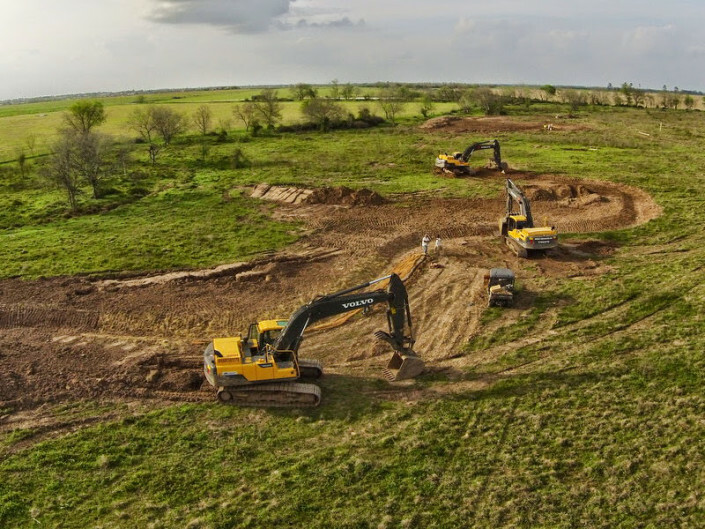 An exciting prospect for America’s most dynamic city. 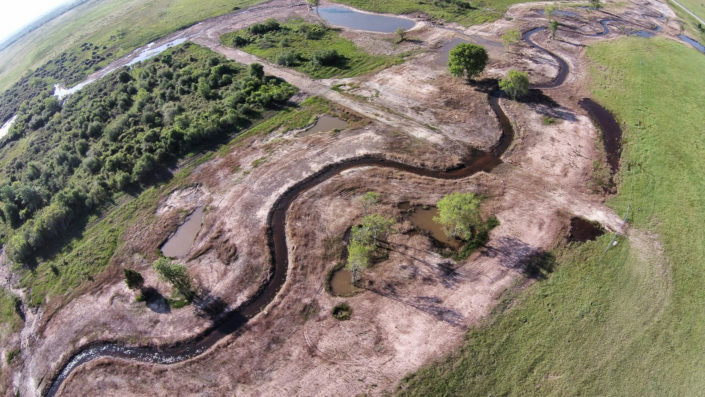 The Army Corps Galveston District drafted a comprehensive stream regulatory program following the publication of the Federal Mitigation Rule in 2008. 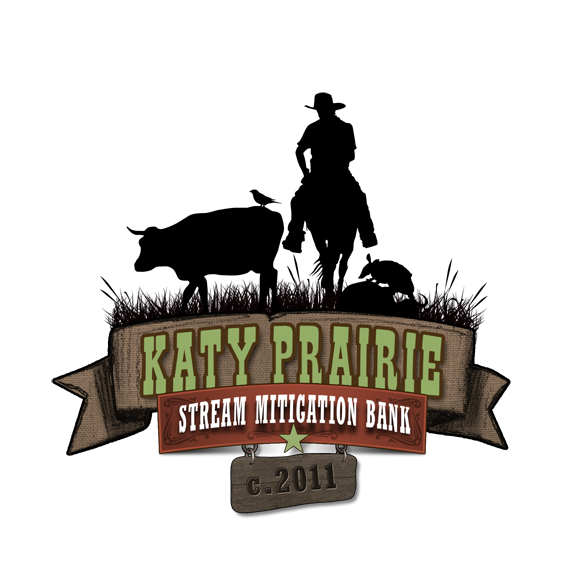 This superb program met the requirement of the Rule for In-Kind regulation of streams and provided a transparent and workable blueprint for the regulated community to meet their obligations.